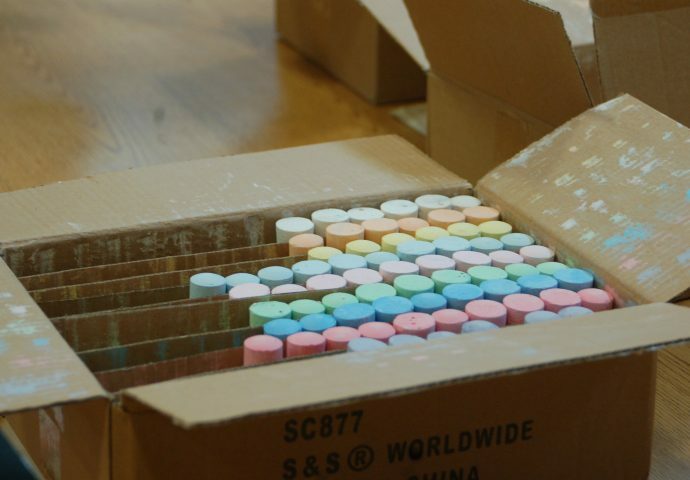 A volunteer writes "notes of encouragement" to be included in activity kits. Messages include "you are greatness" and "be the best you." Pieces of chalk are included in each kit along with a summer activity guide, a set of watercolors, a tennis ball and skeins of thread. 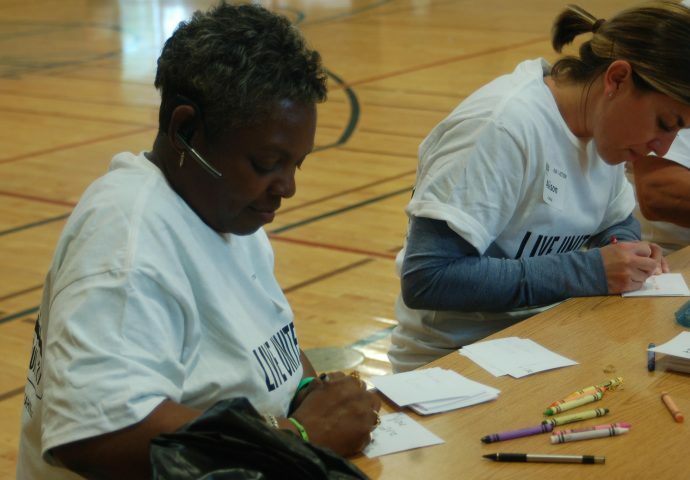 Volunteers pack the "notes of encouragement" into drawstring bags, completing the kits. Volunteers mulch and weed at the Journey House community garden, across the street from H.W. 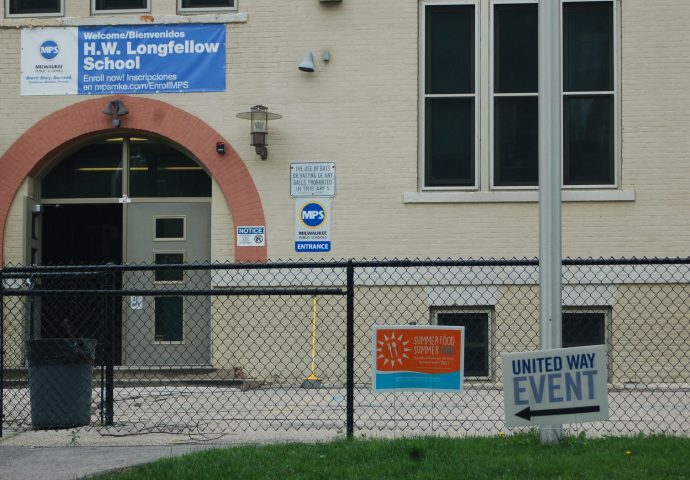 Longfellow School. 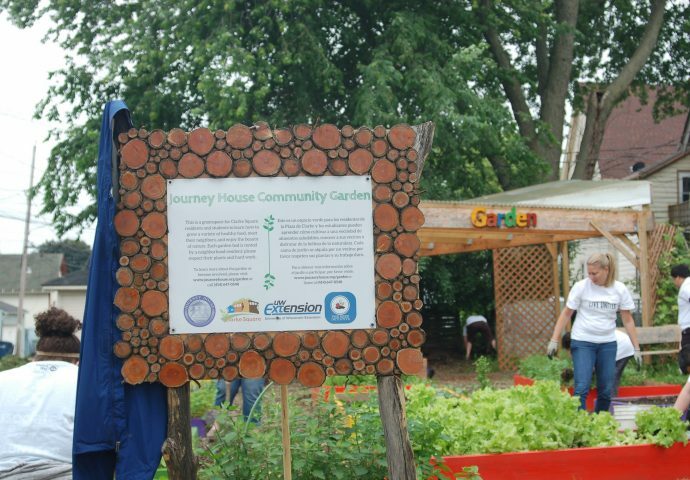 A volunteer's jacket hangs on the side of the garden sign. 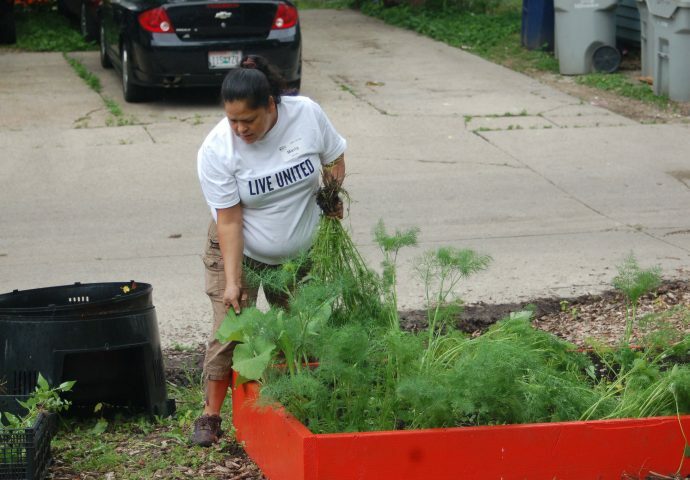 Volunteer Maria Salcedo pulls weeds out of a garden bed. The main hallway at Longfellow receives a fresh coat of paint. Volunteers chat as they roll white paint on a hallway wall. 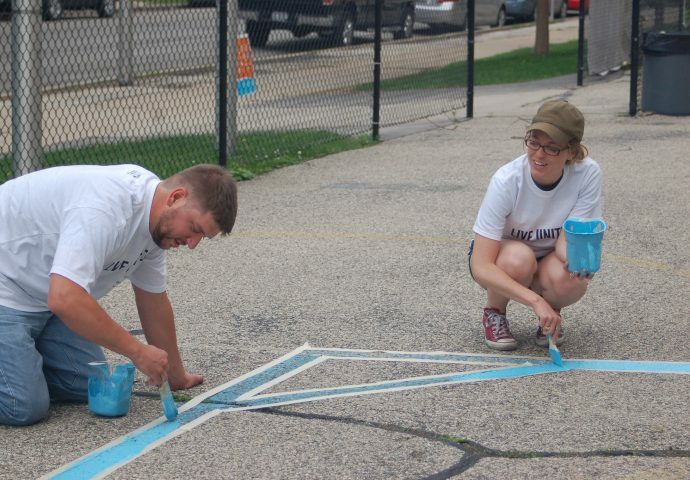 Volunteers paint a four square layout on the playground pavement outside of the school. 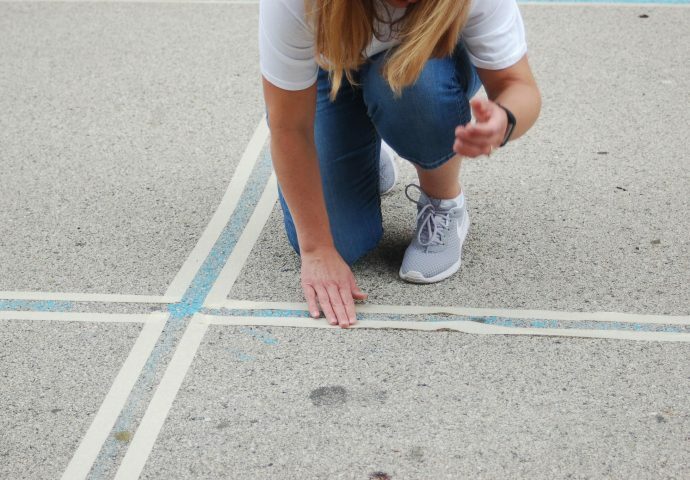 A volunteer lays down tape. 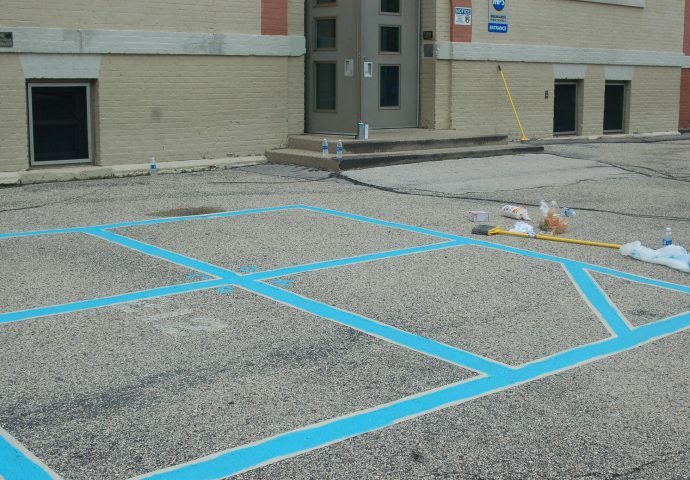 A newly completed four square layout dries in front of the school. 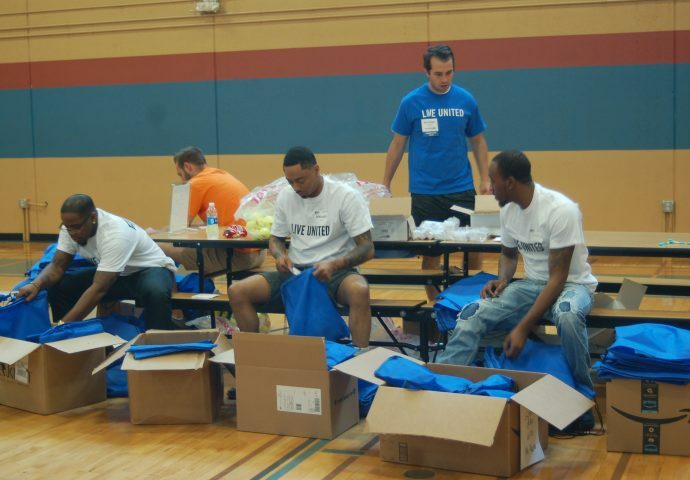 United Way of Greater Milwaukee and Waukesha County hosted a volunteering event at H.W. Longfellow School to celebrate the first day of summer. 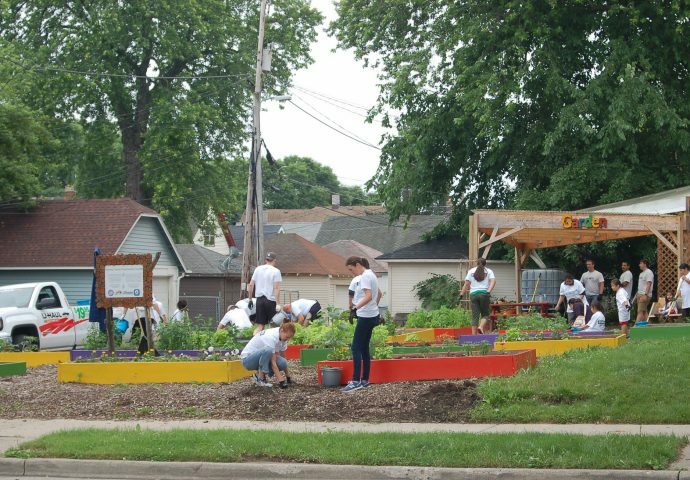 Volunteers painted hallways, played games with students and helped clean up the Journey House community garden across the street. While about 70 people normally attend the Day of Action each year, about 90 people attended this year, said Sarah Marbes, a donor engagement specialist at United Way. “I think it’s important for kids to have pride in their school and to know that other people take care of it and are invested in it as well,” said Meg Kurlinski, a co-chair of the Emerging Leaders Council at United Way. Kurlinski is also an attorney at Godfrey & Khan S.C., a law firm that has sponsored the Day of Action for the last nine years. United Way puts on the event at several locations around the world annually on June 21, the longest day of the year, but this was the first time United Way came to Longfellow. “It’s just an opportunity to get out there in the community and give back,” Kurlinski said.